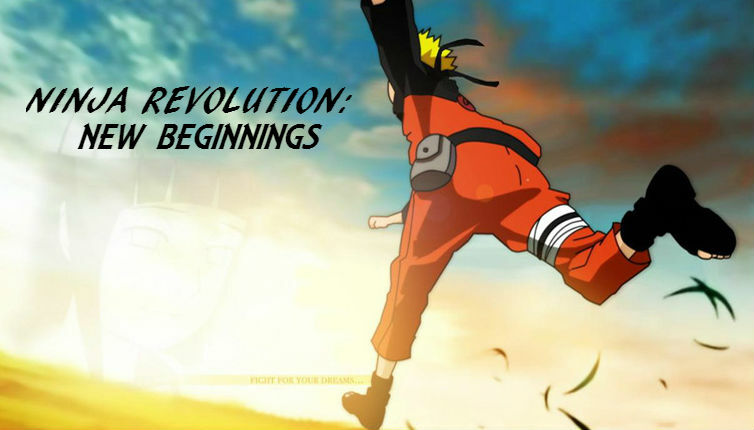 OPEN TOPIC!OUTFITMUSE FIRST TOPIC WOO!WORDS 614CHARKA 500 SENJUTSU CHARKA 500THANKS VON! The clock seemed to take forever, each second felt like an hour, every minute felt like a year, she wasn't sure if she would ever get out of work, or if she would die where she had been standing. But thankfully five o'clock hit, after a double shift and over time, she was gone. After a quick shower, and changing her clothes, Suzume finally left the hospital and walked out into the warm air of Konohagakure, she needed to pick a few things up at the shops even though she wanted nothing more to go home and relax. Though she never looked forward to having to make dinner for her father, and listening to him complain about the fact she spent to much time at a hospital and not enough time in the field. But she knew he only wanted her to get more experience in life than staying in one place. But finally, the head of the hospital told her to take a month off, a month to recollect herself, and travel and just relax in general. Though she was unsure about traveling, she did enjoy the thought of taking a break. She pressed her lips as she was stuck in her mind as she looked at the shelf in front of her; one looking in on her would see a woman dressed as if she was going to a party or formal event, with the sleek red dress reaching down to just above her knees, the black stockings that if she were to be seated would show that they only end mid thigh, her four inch heels, also as red as her dress; holding on her large bag that carried the normal items that would be in ones purse, but also in a doctors bag, including all of her scrolls and other equipment. From there, several other bags from different shops holding various items. 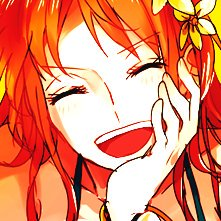 Her long orange hair down loose, her piercing orange yellow eyes narrowed only slightly as she looked. As quickly as Suzume went into her train of thought, she was quickly snapped out of it, apparently having stood there for five minutes straight, the shop keep worried she may had fallen asleep there, with a quick laugh, and scratching the back of her head, gathering the rest of her items she paid and left; seeing people she trained with as a Chuunin, and people who she had gone on missions with, healed them during her first year of being a Jounin... Jounin, it was something so new to her, and it had already been almost a year, as winter was coming. She sighed softly and kept moving, she wanted to check out a few more spots and stop by the Hokages office, then head home. WE GOT HIM! WE GOT THE AYANO! YES! SWEET SWEET REVENGE IT IS! CAN I CUT HIM, PLEASE, PLEEEEEASE!? A golden strand of hair would float lightly through the air, gently surfacing against the soil before it's outline stretched. It was coated with a bright yellow light that would give a cold aura to those around it. The middle of the village, where anyone with any chakra sensory may pick up on the sense, but then it would disappear just as quickly as one may pick it up. The instant one were to blink an eye, a sudden newcomer would be present in their line of view. A tall blonde young man with a traditional kimono, as if he were in the land of iron. Azure eyes to match the golden strands of hair on his head, that of which was covered with a Non La, as if he were a Sensei. Despite his disappearance for months, it was as if no one knew that he left. Like he vanished and everyone's mind had been wiped. Yet there he stood, the samurai now among that of others. And what was his task? At this point, his mind was blank, unsure about what could be done. His memory was so blurry, the last thing he could remember was... Was... Nothing! Yet there he stood, one confused samurai with no memory except for the techniques of his clan. Looking around, he was a little scared, unsure about who he was or what he was to do. Instinctively, the samurai would proceed to charge through the crowds, immediately worried and scared of what they'll do around them. He didn't know them! He didn't know ANY of them! With such high speeds, he practically blurred through the village before stopping at a tall building, panting with a severe lack of breath out of exhaustion. Still though, he wasn't safe, the people there could choose to lynch him if he dared breathe the wrong way! It was all too much, what was he do do!? WHAT WAS HE TO DO!? Kirei walked through the village in a leisurely manner. He was rather bored today with Karasu-sensei giving some lame excuse to put off his training, so he decided to take a day to go out and enjoy the unique atmosphere present in the leaf. His training had been coming along quite nicely in the past few weeks and he was glad to finally be getting a rest day, even if he knew it was just so his sensei could scope out women. As he walked, he felt a strange sensation nearby, one of fear. Making his way in that direction, he noticed a blonde boy a few years older than himself standing in front of a building, seeming to hyperventilate. Kirei decided to approach the boy and see if he needed medical attention, he was by no means qualified to administer said attention, but he would be able to get him to the hospital in no time at all. "Excuse me, are you alright? I can get you to a hospital if you need it." He wasn't entirely sure how to approach the situation, cut him some slack! He was away on a deserted island for three years! But, he was sure that his first priority should be to seek a doctor for this man. @Kirei @Hibiya OUTFITMUSEWORDS 521CHARKA 500THANKS VON! Suzume felt something, if only for a moment a sense of charka that was quite.... different? She shook it off, it was a strange thing, but nothing she wanted to inspect, she was sure there was enough of the other shinobi around that they could handle it, and even if she was needed she would know about it right away. As one of the top medical shinobi in Konohagakure she knew that if needed; someone would know exactly where to find her... Even if she didn't want to be found. With a small sigh, she grabbed the a few more things off the shelf and headed towards the front counter to pay and go. This shop keep had been in the hospital just a few weeks before her coming here, and ended up giving her the things she grabbed for free as a form of payment as they had no other way to pay her, though she never expected much from the people she worked on, she just wanted to make sure everyone was healthy and happy. But this was apart of her job that sometimes she enjoyed, and other times it was annoying. She had all kinds of trinkets and free things that had been given to her, none of which she enjoyed to take as she never thought she deserved anything from helping people, because she was doing just that. Suzume had left the most recent shop she needed to grab something from only to walk pass two boys, one much younger than the other, her eye brow lifted she hear the words form the youngest boy, "I can get you to a hospital if you need it." She stopped as if her feet became cemented, turning heel quickly she smiled at the both of them, "Is everything okay here?" She spoke clearly but calmly and with a some what motherly intent. Her mind didn't click quite yet as to who the younger boy was, but the older one she hadn't recognized at all; she smiled at them softly, "I work at the hospital, if I can help you, please let me know, okay?" She turned, looking at the younger boy, her orange eyes would sparkle almost as the sun still slightly in the sky, beat down upon them. The yellow speckles in her eyes were a lot more dominant then normal, but the two colors tied in fairly well, she was slightly bent over so she could see the younger of the pair eye to eye, hoping that he had maybe some answers to her next set of questions, as she was unsure if the older boy would be able to talk. Her smile was genuine, even though part of her didn't want to have to deal with a medical emergency as she just wanted to see the Hokage and go, but everything in her body gave her the signals that she needed to stay, that something was in fact very wrong with the older boy, however the younger one gave her a weird feeling but at the moment she just couldn't quite put her finger on it. And suddenly, the tension of his shaking body began to simmer down. It was... His voice? The voice in his head that sounded so damn close to his original, yet he felt like that thought... There was no way it belonged to him. Despite it being bottled up tightly in his mind, something told him that it was a hand reaching out for him. Blue eyes gazed into nothingness, lost perhaps to the real world. A sudden voice would enter, shaking him back into the real world with his heat beating a bit faster. After all, every bit of painful emotion is amplified! But it just turned out to be some kid, one much younger than he was. Right? An innocent child that offered such kindness in the form of a trip to the hospital, how was one to refuse such a noble deed? Instead, however, the Samurai preferred information. Begging a child for it seemed rather pathetic, but what choice did he have? Fortunately, a spineless and hopeless shinobi of the village is one that might as well have been done away with. The Ayano possessed no such knowledge, thus prepared himself to ignorantly reply honestly. Of course, with a child so innocent and helpful came a blonde and caring beauty to also take the spotlight. Perhaps another rapid heartbeat for a completely different reason, for he couldn't help but see such luscious locks and feel a crushing weight pressed against him. One might see this as positive, and that couldn't be further from the truth, for the image of the Ayano replicated him with little self-control. Control... A word quite foreign to the one that now stood in his place. And just like that, he felt nervous, extremely perhaps the best adjective. Confused, nervous, and shy. The stress was beginning to stack up. As the lady leaned downwards to speak to the child, the image of the Ayano would turn his head to the side in shame, feeling rather uncomfortable with the situation. Not only did such a beauty offer them attention and he felt worthless next to her, but now he must humble himself in such a weak way just so he could have some form of help. "I-I... I..." The image tried to speak, choking instantly and forcing himself into silence for a few seconds. Breathe... Breathe... And he did. Deep inhales caused his jittery nerves to lessen a slight amount before speaking again. "Where.... Am I? I need to know... What is going on?" Despite the headband of the village being on his head, he was absolutely oblivious. Perhaps a clue for one if they observe. Unfortunately, the blonde was completely genuine about this. Kirei could feel that the boy was confused and nervous, but the moment that the apparent nurse approached, the blonde began to feel... worthless? It was strange to be sure, but Kirei didn't think these emotions were all that abnormal, i mean, what WAS normal? But, if the woman from the hospital could help it would be for the best. Then the boy asked where he was, even though he still wore a Konoha headband? Curious indeed. 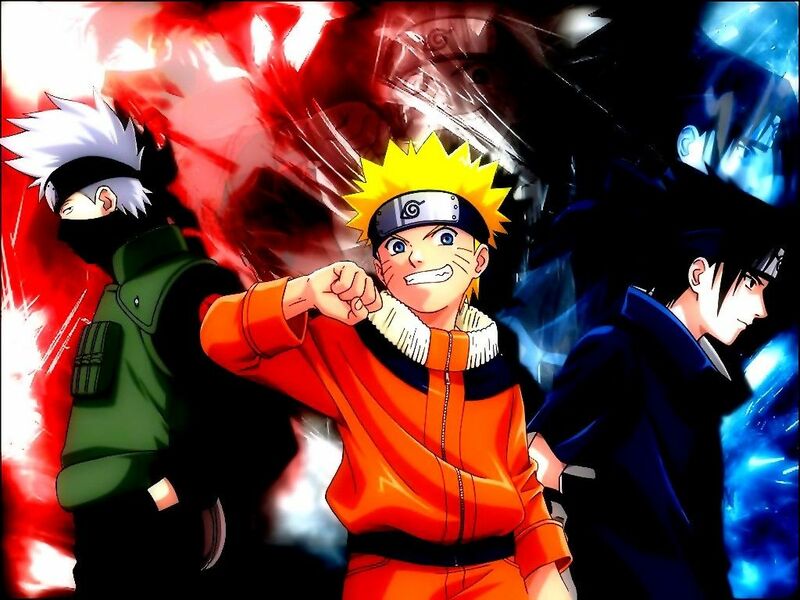 "This is Konohagakure. Where did you think you were? My name is Kirei by the way, Uchiha Kirei." He decided it best to give the boy some space as opposed to offering a hand. But, perhaps if they got him talking they could figure out what exactly was going on. He also wondered what the woman who had appeared to help them thought of the situation. From what he could deduce from the current situation, the blonde had some form of amnesia? Perhaps it was due to stress. He would just have to wait and see. @Kirei @Hibiya OUTFITMUSEWORDS --CHARKA 500THANKS VON! Suzume realizing that the older boy of the two was basically just having a panic attack, and was just shaken up, she would smile and pat his shoulder; "Everything will be alright," she would flick his head band, "All your memories will return soon," She would turn slightly, her head tilted looking towards Kirei; remember that he was the holder of the nine tails; "Your friend here, Kirei, could you take him to go get something perhaps sweet? Ice cream could work in this case, he's just had a panic attack, perhaps memories of an old battle. Take him around the village and see if you can properly jog his memory back up. If it doesn't come back, please visit the hospital, one of my fellow medical shinobi can help." She would pause for a moment, looking once more towards the other boy; "Go with him, and try to stay calm, okay?" She would then grin and hand some ryo over to the smaller boy, before getting up and heading out towards the Hokage's office.